Whether you need somewhere to rest your head after a long flight or don’t fancy an extra early wake up call before a drive to the airport, checking in to an airport hotel may be just the answer. With plenty of option both on and off site at both terminals, you have plenty of options to add a bit of luxury to your trip. Don’t need to stay? Airport hotels also offer the perfect setting for business meetings and conferences due to their central location; perfect of you have international clients, too! Take a look below to find the best hotel suited to your needs. Situated directly below the international arrivals hall in the south terminal, you can go straight from the plane to sleep! Modern and sophisticated rooms, specially designed by a Scandinavian sleep expert to ensure your snooze is one of the best! Book a Park, Stay & Go package and leave your car at the airport whilst you’re away! With valet parking and a free shuttle service to the South Terminal, it’s hard to beat on convenience! Perfect for those on a budget and only a 5 minute drive from the airport: super convenient! Perfect for those on a budget and only a 5 minute drive from the airport; super convenient! Gatwick Airport has two terminals, both of which are connected – via a covered pathway – to a hotel. The North Terminal is within a few minutes’ walk of the impressive Sofitel, a towering luxury establishment overlooking the airport’s runways, while the South Terminal has privileged access to the Hilton. The North and South terminals are linked by a state-of-the-art monorail service, meaning that travellers arriving or departing from either terminal are still just a short distance from their chosen hotel. The two on-site hotels, the Sofitel and the Hilton, are conveniently signposted around Gatwick Airport. 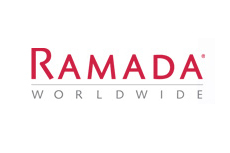 Other hotels within a short distance include the Corner House (1.3 miles), Courtyard by Marriott (1.8 miles), the Moat House (1.3 miles), and the Ramada Plaza (2.8 miles). There are only a handful of hotels near Gatwick Airport that do not have at least some facilities for business travellers and groups of delegates on-site: the two Travelodges, for example. Services range from the provision of private meeting rooms to fully-featured conference centres, offering projectors, refreshments on demand, and copy/fax machines. The hotels most notable for their sympathies to the business world are the Sofitel, the Crowne Plaza, the Holiday Inn Express, and the Crowne Plaza. The Holiday Inn Express is notable for being within a short drive of the Gateway, a business park occupied by brands such as Virgin Atlantic, BT, TUI, and Initial. Airport hotels are a unique draw for businessmen and women, as their services can help limit the disruption caused to normal operations by mid-week travel. The hotels within the airport grounds can be easily reached either on foot via a covered walkway or on the free monorail that passes between the two terminals. For any hotels outside of the grounds, check below to see if they offer a shuttle service. The Hilton at Gatwick is connected to the South Terminal of the airport by a short, covered walkway, making the hotel one of the most convenient in the local area. Featuring sound-proofed rooms as standard, armchairs with ottoman seat, spa baths, and walk-in showers. The Hilton London Gatwick Airport offers a number of different room configurations to guests, from the standard guest room to the executive suite. All visitors have access to tea and coffee-making facilities, TV with on-demand movie service, hair dryer, a trouser press, telephone and high-speed internet. Rooms are fully air-conditioned and soundproofed and come complete with ergonomic chair and desk. The hotel also offers a range of accessibility features in accessible rooms and around the hotel area. There are six different bars and restaurants in the hotel: Amy’s Bar and Amy’s Restaurant, Charlie Fry’s Sports Bar, the Executive Lounge, Costa Coffee and the Garden Restaurant where breakfast is served every day from 5:30am. Combined, the venues provide light snacks, cocktails, continental breakfasts, beverages-to-go, and evening meals. Guests can also make use of the Hilton’s 24-hour room service. Premier Inn is located opposite the North Terminal main entrance, so it is certainly easily accessible. The hotel also offers a free transfer to the South Terminal and with it being only a 2 minute journey, this means the hotel can be an option whichever terminal you are jetting off from. You can definitely expect to have a good night’s sleep at the Premier Inn at Gatwick. You will be treated to a king size bed (please note: a small number of rooms offer single, twin or double beds), a TV, a desk and a chair and even the choice of firm or soft pillows. There are also tea and coffee stations in every room. ‘Thyme’ restaurant, serving breakfast and dinner. Yes! Breakfast is served at the attached ‘Thyme’ restaurant from 5:00AM-10:30AM and then it reopens at 5:30PM for dinner and then closes at 10:30PM. For breakfast, you can enjoy a continental spread or the Premier Inn Breakfast, which includes everything from bacon and sausages to American pancakes for a mere £10.50. When dinner is served, you can expect to be treated to a gourmet burger, hot dog, steak or even a pizza. YotelAIR is located inside Gatwick’s South Terminal. It’s uniqueness comes from offering rooms for just four hours. So, if your flight is delayed and you fancy a bit of rest and recuperation, Yotel is the place to go. With a choice of premium and standard rooms, there is something for everyone. The cleverly designed rooms in London Gatwick’s YotelAIR allow a small amount of space to be used effectively. In your cabin you can expect to find a flat screen TV, a workstation, a comfy bed and a monsoon shower. These cabins can be hired out for as little as a few hours and so they provide everything you could need if you need a little refresh or you’ve got some last minute work to catch up on! This hotel offers a 24/7 food delivery service directly to your room! You can choose from meals, snacks and drinks provided on a menu in your cabin. Some of the options are: a cheddar and onion panini, a hot mozzarella pizza and Ben & Jerry’s ice-cream pots. To top it off, coffee, tea and hot chocolate are all available for free. The food can be ordered and will then be delivered straight to your room. If you need somewhere to stay at the South Terminal, BLOC is it . You can quite literally step out of the hotel doors and go straight through security. If you like ease and convenience, we can definitely recommend this hotel. BLOC Gatwick prides itself on having a Great British design in all of the rooms. They have a climate control system in every room, so your ideal temperature is well within your grasp. The other key features are a comfy king-size bed, a wet room complete with a drench shower and a HD LED TV. Not forgetting that you won’t have to lift a single finger due to the fact you can control the temperature of your room, the TV and the door to your room directly from your smartphone, if you want to. They also offer a physical key and TV remote if you’re a bit of a technophobe! When BLOC surveyed their customers, some of them expressed that they don’t like eating at the restaurants provided by budget hotels, so they have deliberately placed their hotels near popular restaurants so that their guests can enjoy them. They have special deals in place with their ‘Just Around the BLOC’ guide so you can enjoy your dinner at Giraffe and your breakfast at Apostrophe, all at a special price! Make sure you book the ‘Dinner, Bed and Breakfast’ package to make the most of this deal! One of two hotels linked directly to Gatwick Airport by a walkway, the Sofitel is a prestige hotel with rooms to suit everybody, from the standard Classic to the opulent Prestige Suite, which has a complimentary mini bar. Many rooms at the Sofitel benefit from superb views of the airport, perfect for plane buffs. On-site enclosed parking is available. Park and Fly packages can be arranged for stays of 4, 8, or 15 days. The Sofitel offers a varying degree of amenities, depending on the type of room booked. However, a colour TV with pay-per-view movies, a telephone, coffee and tea-making facilities, and wireless internet access come as standard. All rooms have 220/240v AC sockets, air-conditioning, a peep-hole, trouser-press, and a hair dryer. Yes. In addition to round-the-clock room service, visitors have a choice of three different venues for dining. In no particular order: Gatwick Oriental, a restaurant serving food from the Far East, La Brasserie, an award-winning provider of European dishes, and the rather more informal, Le Café, which serves coffee, light snacks, and soft drinks. Located at the North Terminal, and just 5 minutes from the South Terminal via the free shuttle service, the Hampton by Hilton London Gatwick Airport opened its doors in January 2014 and has easy access to Crawley, Redhill, Reigate, East Grinstead and Burgess Hill Business Parks. On-site enclosed parking is available for £43 per night. Hampton’s clean and comfortable rooms have beds with crisp duvets and pillows of your choice. Five kinds of rooms are available, being all of them non-smoking rooms. Free breakfast is available at this Hampton hotel: enjoy yourself to a choice of a delightful variety of hot and cold breakfast items before starting off your journey. Are you in a rush? No worries! “On the Run” breakfast bags are as well available at this hotel from Monday to Friday. With its trademark green spotlights, the Holiday Inn Gatwick is a convenient option for holidaymakers, located just five minutes from the airport by road. The hotel is especially well-suited to guests with business-related concerns, as a number of executive rooms and a well-equipped Conference Centre are located on-site. Park, Stay, and Go service is available to book. Rooms at the Holiday Inn have high-speed internet access from £16. A TV with optional movie channels and/or video games console is provided as standard. A desk with lamp, a telephone, a hair dryer, tea and coffee-making facilities, and a trouser press are present in all guest rooms. Windows are double-glazed. Rooms are air-conditioned. Children’s cots are available on request. Four rooms are available for guests with limited mobility. The three-star Courtyard by Marriott is one of the more striking hotels in the region of Gatwick Airport, with its green and yellow-striped façade. This brand-new hotel is less than a mile to the east of the London hub, providing guests with convenience and more than 200 rooms of luxurious accommodation. Both on and off-site parking is available from £15 per day. Rooms at the Courtyard, regardless of size, have 28-inch LCD TVs with additional movie channels, as well as a hair-dryer, an iron and ironing board, complimentary toiletries, and an en-suite bathroom. Rooms are air-conditioned. Wireless internet access is available for a fee. Radio, laptop safe, desk with chair, and coffee maker are also provided. 12 rooms are available for guests with limited mobility. Yes. The Courtyard has two venues for dining, namely, the Volare, which alternates between dinner and breakfast menus, depending on the time of day, and the Volare bar and lounge. The bar is open until 01:00. In-room dining is also available, with sandwiches priced at £6.25 and main meals starting at £10.50. Located a five-minute drive from Gatwick Airport, the Ibis cites its proximity to the London hub as one of its key selling points. 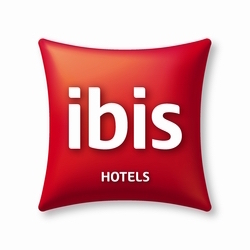 The Ibis has 141 rooms, including ten disabled-friendly rooms, making the hotel ideal for travellers with limited mobility. Pets can be accommodated at an additional cost, but prior arrangement is required. Private indoor and outdoor parkign for up to 70 cars. Fees apply. Rooms at the Ibis come complete with colour television, 220/240v AC sockets, and coffee and tea-making facilities. Wi-Fi is available in guest rooms; a small charge will be levied for its use. RJ 45 outlets are provided for fast data transmission. All rooms have an iron. Hair-dryers are available on request. Yes. FOGG’s café serve an all-you-can-eat buffet breakfast, beginning at 06:30 and concluding at 10:00 The buffet is continental, but some “local specialities” may be included on the menu. Snacks and light dishes are available during the day in the café. Near Tilgate Nature Centre, Ramada Crawley Gatwick Airport Hotel is close to Gatwick Airport, as weell as to the train station, pubs and restaurants. Check in with our multilingual staff and use our baggage handling service for your convenience. Large-vehicle parking is also available in the free car park. All rooms have a flat screen TV and Freeview, trouser press, tea and coffee facilities and a hairdryer. Smoking rooms are availble on request. The Crowne Plaza has almost 300 tastefully decorated bedrooms, featuring black-out curtains for jet-lagged travellers and the sun-shy. Located just outside the town of Crawley, the Plaza is part-spa, part-hotel, offering guests a gym, jacuzzi, and sauna. On-site parking. VIP Meet and Greet packages available. All rooms at the Crowne Plaza have flat-screen TVs with premium channel options, a desk with lamp and chair, and a telephone. Tea and coffee-making materials are provided. An iron, ironing board, telephone, and hair dryer are also included as standard. All rooms have en-suite facilities. Club packages have a small safe. Mini-bars are available on request. Yes. There are three venues offering food and drink at the Crowne Plaza. Enjoy breakfast in the Cube Restaurant from 6:30am, grab dinner at Bar 92 or head to the Cube Bar and lounge ifor a relaxed end to the day. In room dining is also available upon request. The Holiday Inn Express, located close to the town of Crawley, is perhaps the archetype of the modern hotel. The Express offers a range of comfortable rooms, all of which are air-conditioned, and decorated in the brand’s unique blue and white colour scheme. The Gateway business park is located four miles away. Each room at the Holiday Inn Express comes with black out shades, sofa bed, tea and coffee, private bathroom with complimentary toiletries and free WiFi alongside all the other comforts you’d expect from a hotel room. You can even request interconnecting rooms if travelling with family or a large party. Completley modern rooms – the hotel was recently refurbed in 2016! Enjoy breakfast at the hotel restuarant or pop over The Harvester for dinner!